To make all this dancing happen, Syzygy Dance Project relies on the generous support of a diverse and global community of people. Our team is comprised of dancers who are also therapists, MFT interns, IT consultants, business people, 5Rhythms teachers and more. What brings us together is our passion for the transformative power of dance and the vision of Syzygy Dance Project. We currently have twenty ongoing volunteers who dedicate their minds, skills, time, heart, energy, and financial resources. We create experiences where everyone contributes to making this world a better place through dance. ​Sylvie received her BA in Dance from San Jose State University and is a certified 5Rhythms® Teacher who was also trained in the Heartbeat (emotional) map by Gabrielle Roth. She has studied psychology, indigenous healing rituals, energy medicine, and sound healing and is inspired by the teachings of Angeles Arrien, Carolyn Myss, and Tito La Rosa. Since 2000, Sylvie has taught weekly dance classes and workshops for a variety of populations. Sylvie is often described as a catalytic shape-shifter because of her ability to meet people right where they are and move with them into new possibilities. Kamala has over 20 years experience in nonprofits, program development, communications, and events. Kamala is responsible for managing SDP’s outreach programs, fundraising, and marketing. She has previously worked in diverse fields from integrative medicine at the Institute for Health & Healing/Sutter Health, to dotcoms including women.com and thrive, to book publishing at Nolo Press. Kamala’s BA degree from UCLA was in English Literature with a Minor in Business. She has also studied psychology at the graduate level. Kamala has been dancing with Sylvie Minot for 10 years. She’s studied 5Rhythms® Movement and trained as an Outreach Facilitator with Syzygy Dance Project in 2015. Emily Randall is a Communications professional with over six years of experience working with various nonprofits and social enterprise companies. With degrees in Spanish and Communications from UC Davis, she is on a mission to connect with others in a meaningful way. Thus, Emily manages SDP’s online presence and outreach via the website, social media, and email marketing. She also assists with donor relations, graphic design, and copy-editing. Emily is deeply passionate about dance and its power to heal. She is a salsa dance instructor and regular attendee of Sylvie’s weekly public 5Rhythms® class. ​Janet is a teacher for SDP’s Incarcerated People Project and she continues to be profoundly inspired and moved by the transformative power of dance that she witnesses and experiences in the jail every week. Janet has also had strategic, project management and financial roles in corporate, consulting, and nonprofit settings. She has an MBA from the Wharton School and a MA in Counseling Psychology with a concentration in Somatic Psychology from CIIS. ​Cherie Felzer, LMFT, has been assisting and teaching with SDP’s Outreach Programs since 2012. Cherie is a Marriage and Family Therapist and Open Floor teacher. Her solid presence guides people to their inner resources, weaving together movement, therapy, mindfulness, and play. 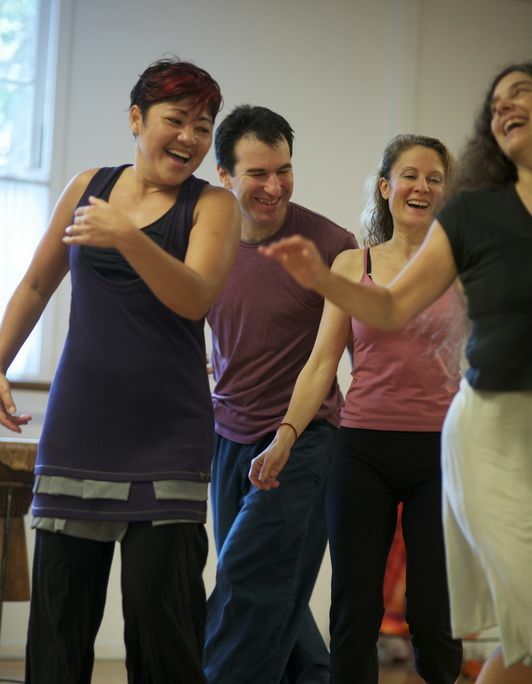 ​Aviva Grossberg is an Open Floor dance teacher and has completed the outreach facilitator training with Syzygy Dance Project. She also has a BA in Performing Arts and is currently training in the Hakomi Method. Dance has provided her an outlet for healing and creative transformation that continues to inspire her daily. She is committed to bringing her passion for dance to all those who cross her path. She is honored to be part of Syzygy's mission of bringing healing movement practices to communities that do not normally have access to these opportunities. Tamara completed the SDP facilitator training in 2014 and assists as a teacher for our program at Options Recovery Services. 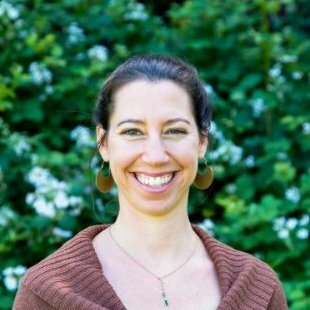 She works as a psychotherapist, offering somatic pyschotherapy, private sessions, and dance and movement therapy classes in the Bay Area. She received her Masters Degree in Counseling Psychology, specializing in Somatics, from the CIIS and a Bachelors Degree from Wesleyan University. 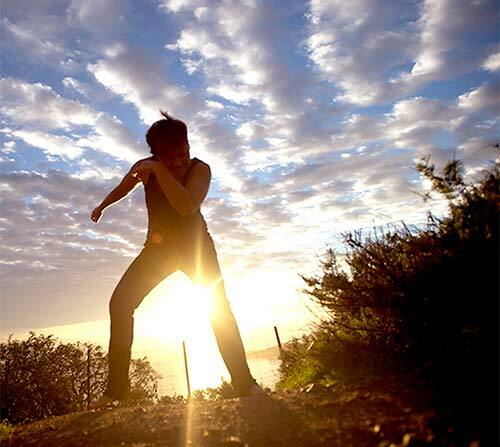 She also trains and practices in the work of Stanley Keleman in Formative Psychology, Mary Starks Whitehouse in Authentic Movement, and Rosangela Silvestre in the Silvestre Technique. Tamara is passionate about supporting and empowering others in their discovery, creativity, and growth. Sylvie Minot is the executive director and founder of Syzygy Dance Project. She embodies the transformative power of dance as a teacher, choreographer, and the creator of Medicine Circle. Sylvie discovered dance at the age of 29, and has not stopped dancing since. After studying psychology and receiving her BA in Dance from San Jose State University, she became a professional dancer and teacher. Sylvie is certified to teach Heartbeat, and was trained by Gabrielle Roth. She co-founded the Saturday Sweat Your Prayers in Marin in 2002, and is on the teaching staff of Open Floor in Marin County. Her weekly 5Rhythms Waves Journey class in Sausalito began in 2004. Sylvie has taught movement classes and workshops in the San Francisco Bay Area, New York, and throughout the United States. The elements, natural world, energy, spirit and sound healing are a few of her influences, especially in the Medicine Circle, which she created in 2008. Sylvie’s work is inspired by the teachings of Angeles Arrien in indigenous healing rituals and Carolyn Myss’ energy medicine. She currently studies sound healing with Tito La Rosa in Peru. Sylvie’s passion for dance also includes being a choreographer. Recent pieces she’s created were inspired from the outreach projects with women in the jail and in recovery, and veterans returning from war. Outside of the dance world, Sylvie has worked as a drug and alcohol counselor within the jail system, and an activity director at an in-patient lockdown facility for geriatric patients. Sylvie is often described as a catalytic shape-shifter because of her ability to meet people right where they are and move with them into new possibilities. She takes you to the edge, and helps you fly. She has lived in Asia and Europe, and now resides in Marin County, CA. We are dancers, teachers, choreographers, counselors, therapists, consultants, and business people. We believe in the transformative power of dance.